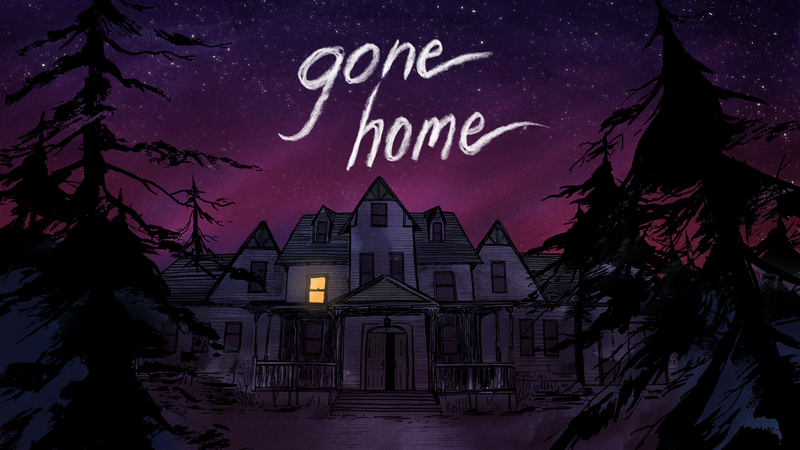 Gone Home walks back and forth between video game and an interactive story, more so walking towards the latter and down memory lane. This review will be short, because the “game” is quite short. This experience is really only deserving talk, because of building storm of reception surrounding it. Gone Home is a love letter to those who appreciate the adventure mystery experience, or fourth wall-breaking novelty, and on the other side of the split reactions, there are those who would put the game down and go home. Gone Home goes big in little ways, touching on modern and nostalgic themes, and is scattered around a mood-changing space to stir feelings across the spectrum. The setting is an empty home in a storm with a great accompanying soundtrack to some emotional responses. As you turn each page of the story and walk from room to room to room, information and images create feelings of someone else in the home with you. I couldn’t help have a feeling like I was being watched. Slowly and surely, you make your way to obvious ending location, with a surprising twist that provides closure of definitive subtext to the player who pays attention. If you look at your average gamer who would not pay attention to the little things, everything other than face value won’t matter. This game tries hard to make subtext matter, but the way you figure everything out, just really didn’t matter to me. Clearly, gameplay doesn’t matter. There isn’t much gameplay beyond walking around an empty house, selecting items, and moving them around to reveal further context. This game could’ve been more than what it was released as. It is too minimalistic in its approach, and rarely touching in emotional responses, and more so touching in that you can touch almost everything in the entire house, but that’s it. It is what it is: a story-driven adventure game based on exploration and subtext. It’s a beautiful story that may be worth your time if you are curious. It is a rather uneventful game, yet I was glued to complete its very, very short but relevant story. Thought-provoking, but dry. Powerful in that something this small can create such a large reaction, but ultimately flat because of its own sense of importance. I feel like the reception of the game is undeserving. After all, the storm is what got my attention. Don’t get me wrong, there is an experience here worth taking when you have some spare change in your pocket to buy it, but the over importance given to this game is beyond me. Maybe it’s because of the medium this story was released in, or that this topic is so relevant to some people they feel it would be appropriate to have a bias towards it. Gone Home has a good story much like any other good book containing literary devices, but is an incomplete experience. Not my cup of tea. Oh look a tea cup, let me pick it up and move it around. Go bigger next time, Fullbright. Buy this game to form your opinion for a buck or two.